1.) Musicians are people just like you. They might seem like rock stars when on stage, but the reality is that everyone puts their pants on the same way. Musicians are people just like you, and that means that they go through the same exact financial troubles as you and I. When you purchase a t-shirt or album, this helps them continue pursuing their musical passion, which in turn, benefits you because they are producing music for your entertainment. 2.) Local shows are cheaper. When a town has a supportive musical environment, music has a chance to grow and expand. This is good for you, because you have a wide variety of music to choose from. 4.) Pride in your home town. 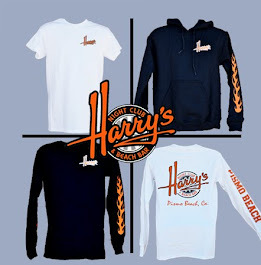 When we purchase and wear local merchandise, we are showing pride in our home town and our place within our community. 5.) Helps the local economy. Musicians are a healthy part of local economies. When we support them, we are supporting a countless number of business owners and employees: the local bars and venues, the screen printing companies, the record labels, the record stores, etc. Every band starts out small. 7.) Local shows are more personal. Would you rather be within ten feet of your favorite local musical act, or half a mile away from them at an amphitheater? With local acts, you can usually socialize with the artists before or after their performance absolutely free. With bigger names, you usually have to spend hundreds of dollars to get backstage. 8.) 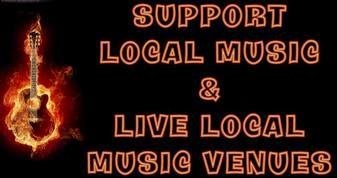 Local musicians are there for you. Why would a band play in front of others, if not to entertain them? Those people are working for your pleasure. The least you can do is show up and have a good time. Do it for the musicians.